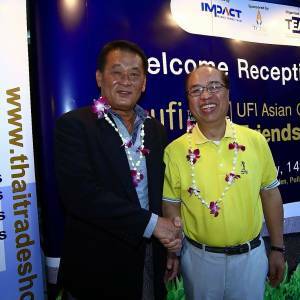 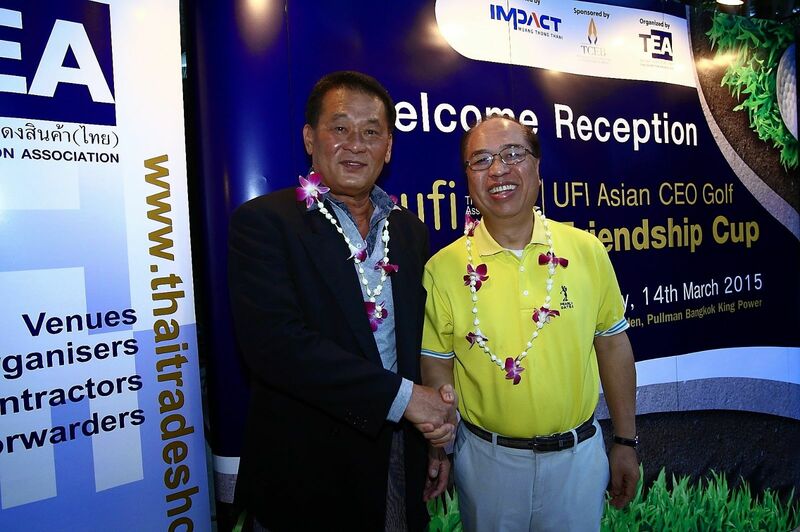 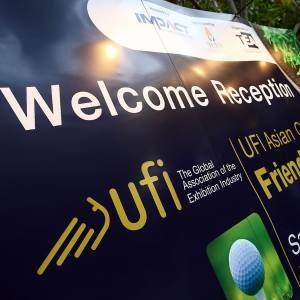 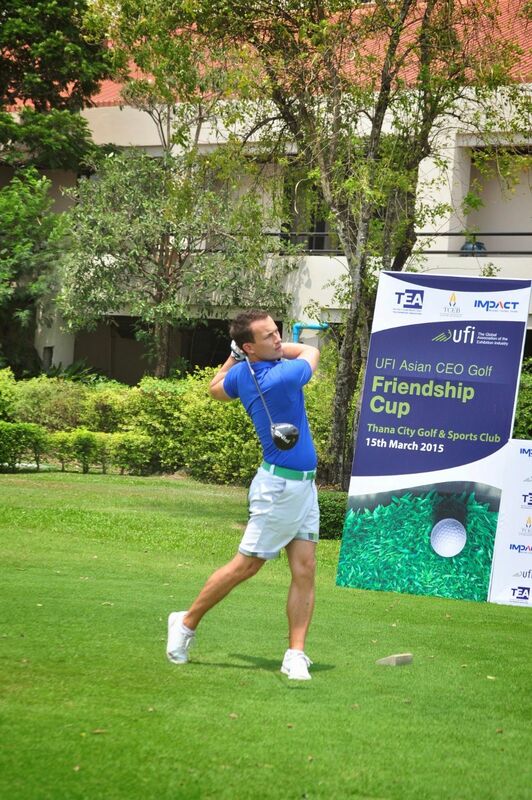 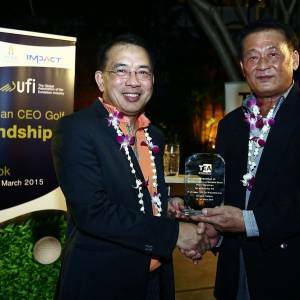 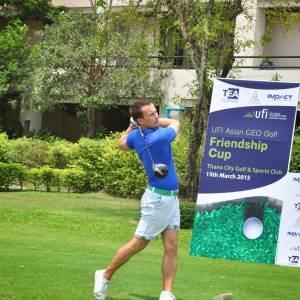 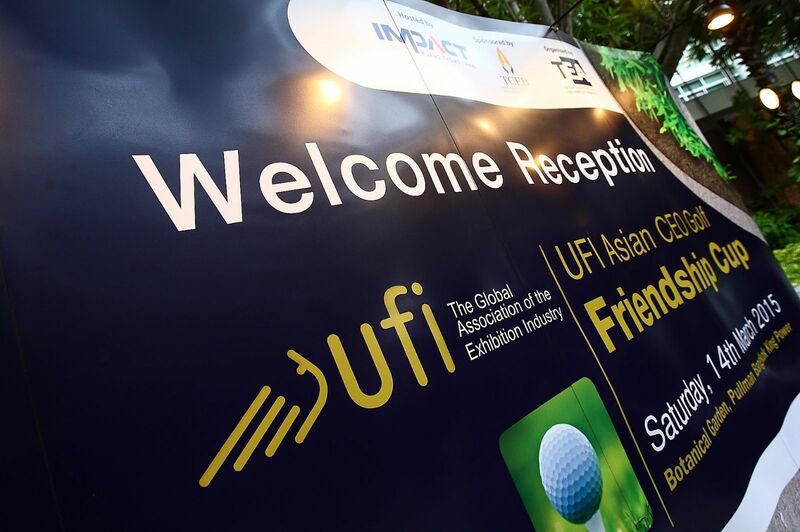 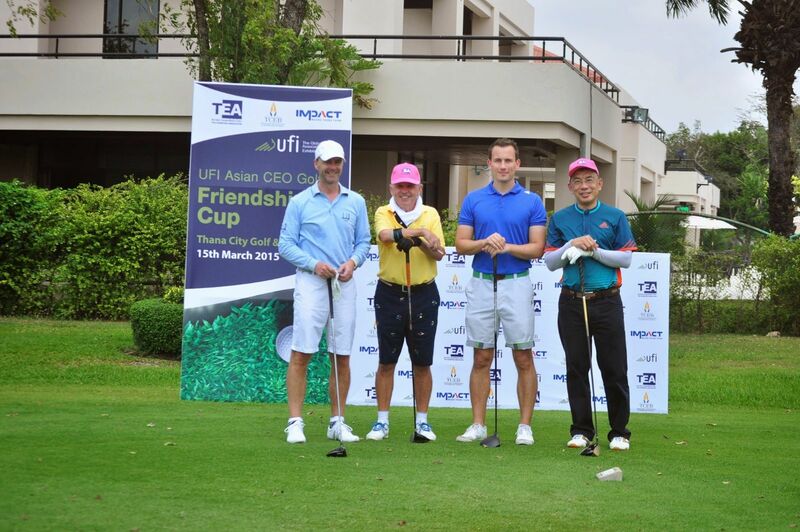 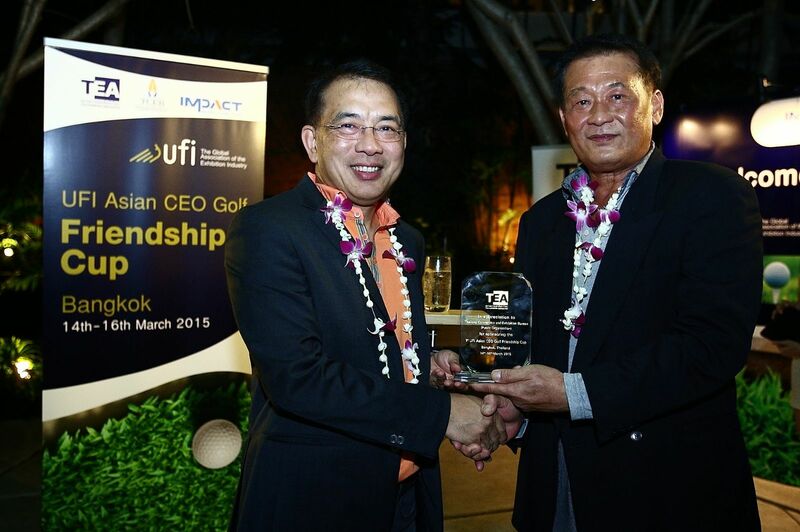 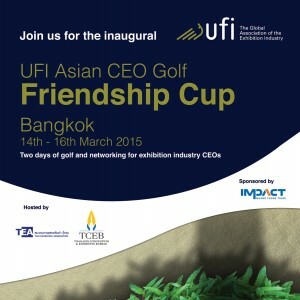 33 players competed in the first UFI Asian CEO Golf Friendship Cup, which took place immediately following the Open Seminar in Hong Kong this month. 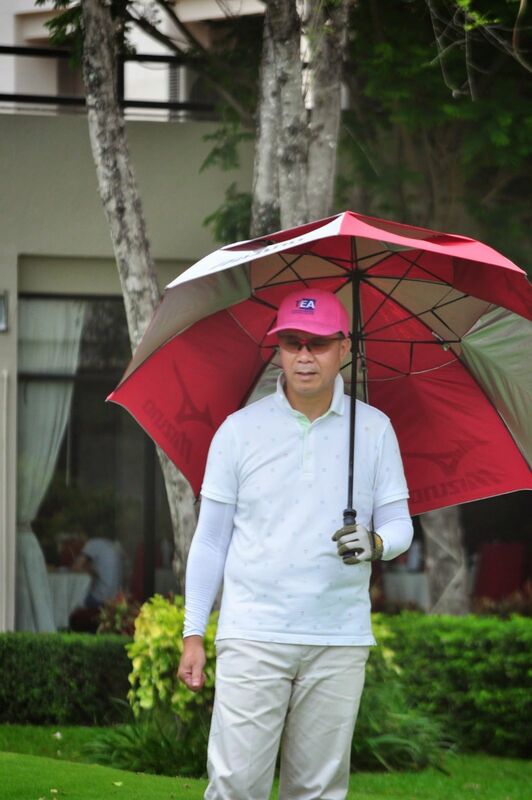 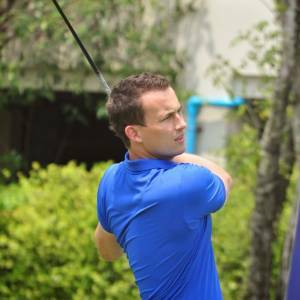 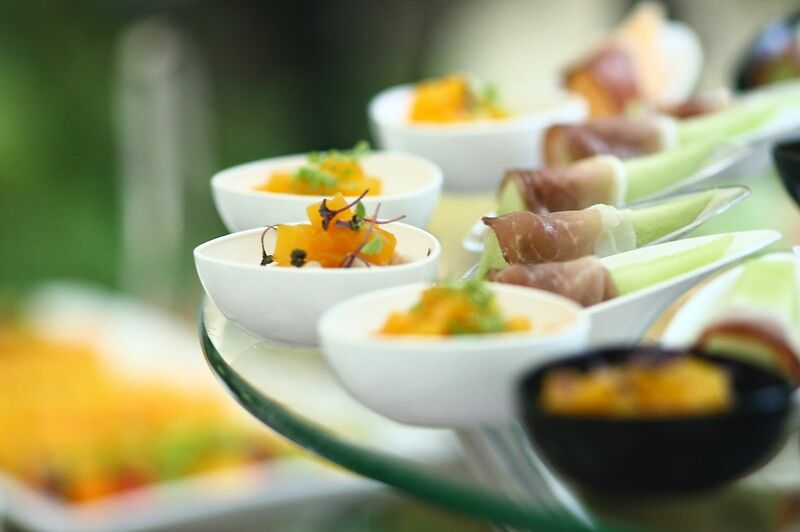 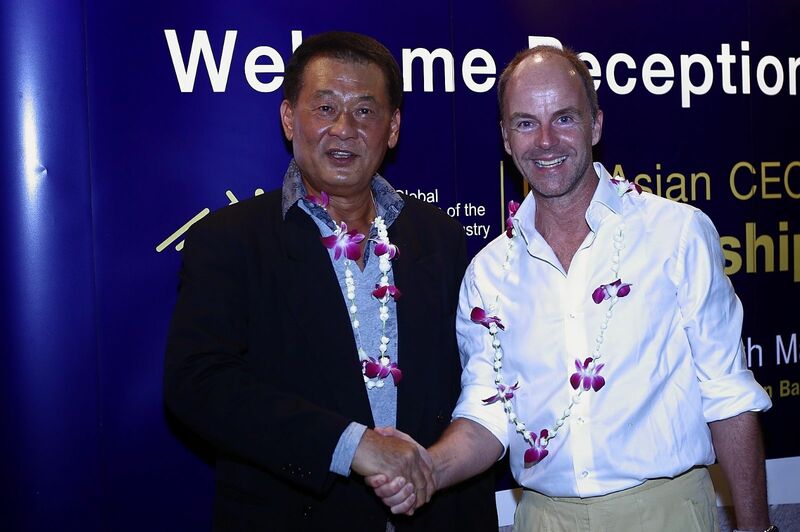 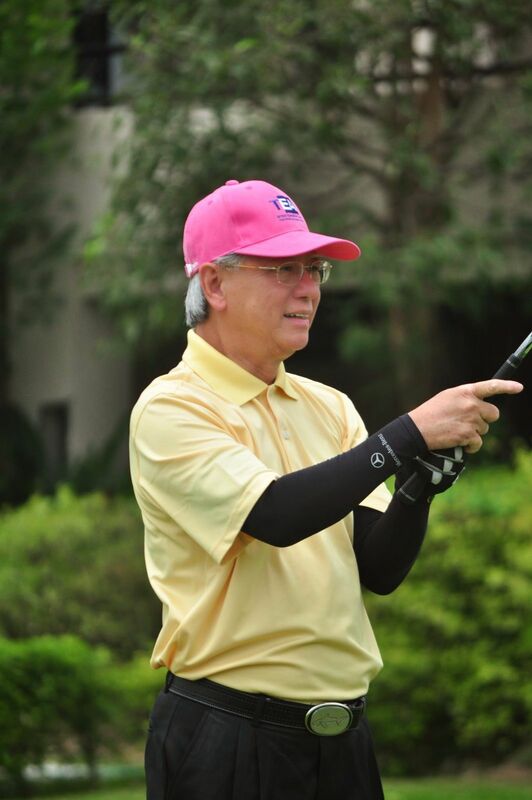 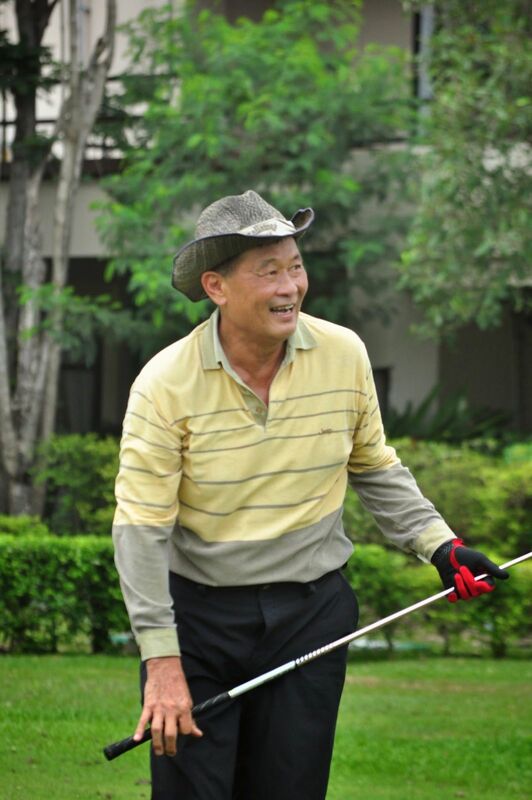 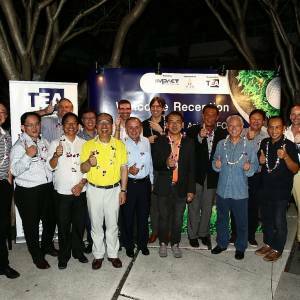 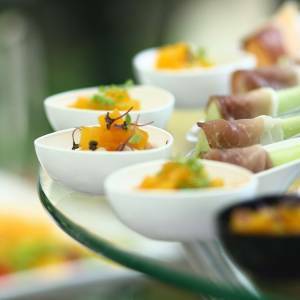 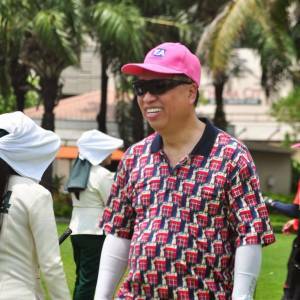 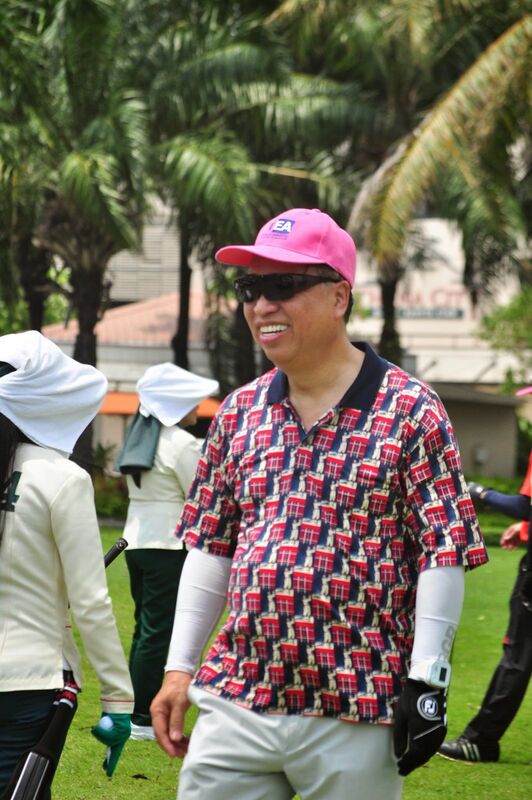 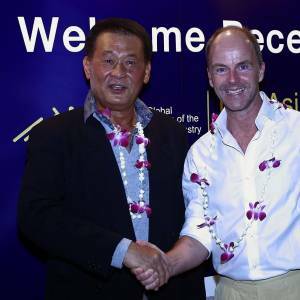 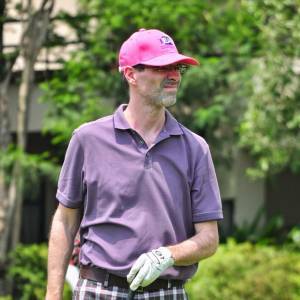 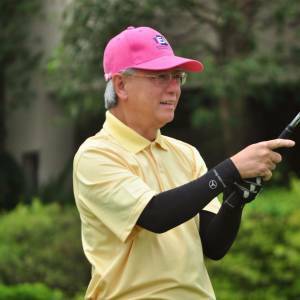 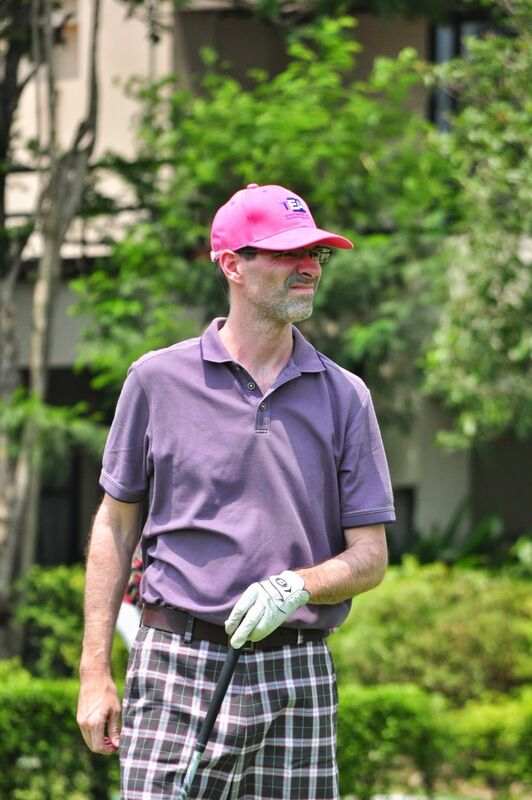 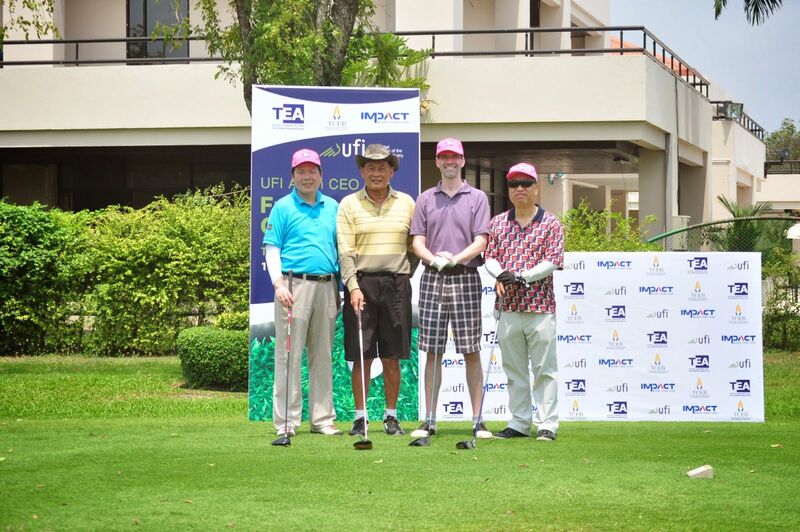 Players arrived on Saturday and enjoyed a wonderful opening reception at the Pullman King Power Hotel in Bangkok, where Khun Patrapee Chinachoti of the Thailand Exhibition Association and our golfing host explained the rules of the tournament. 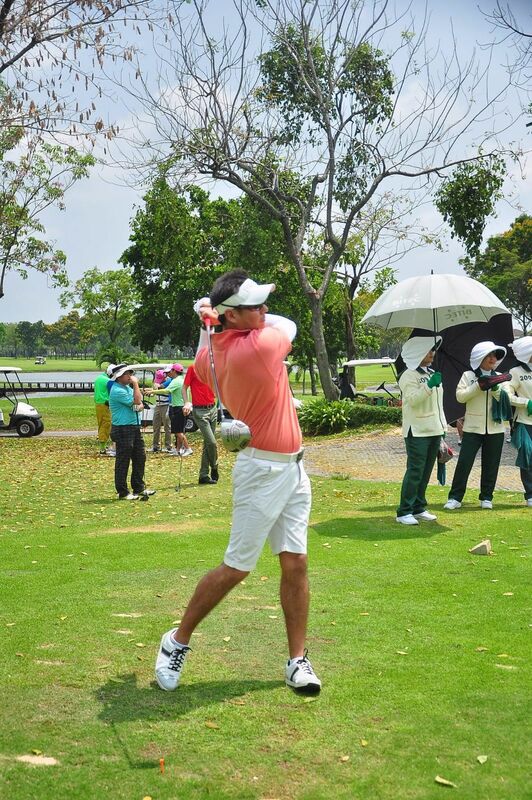 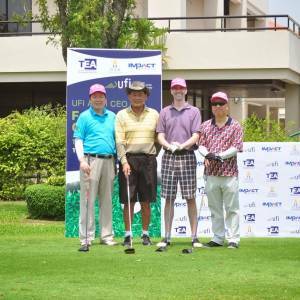 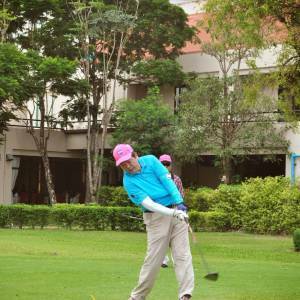 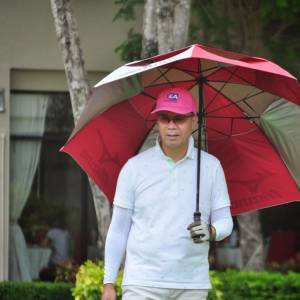 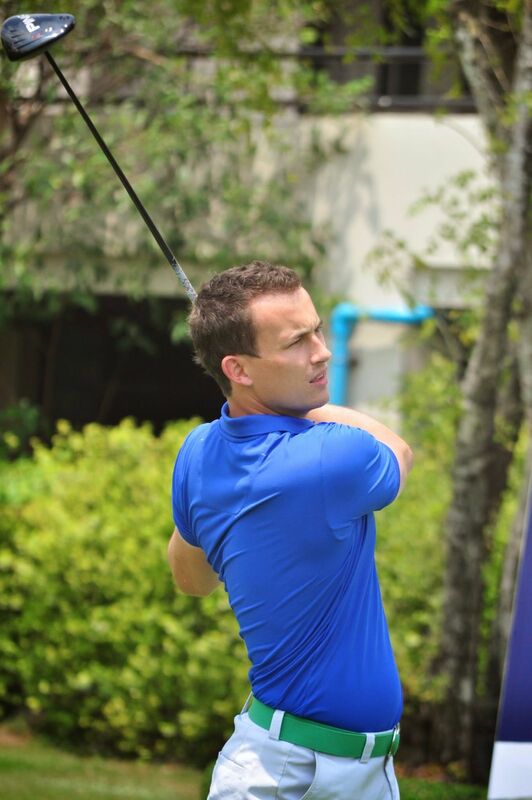 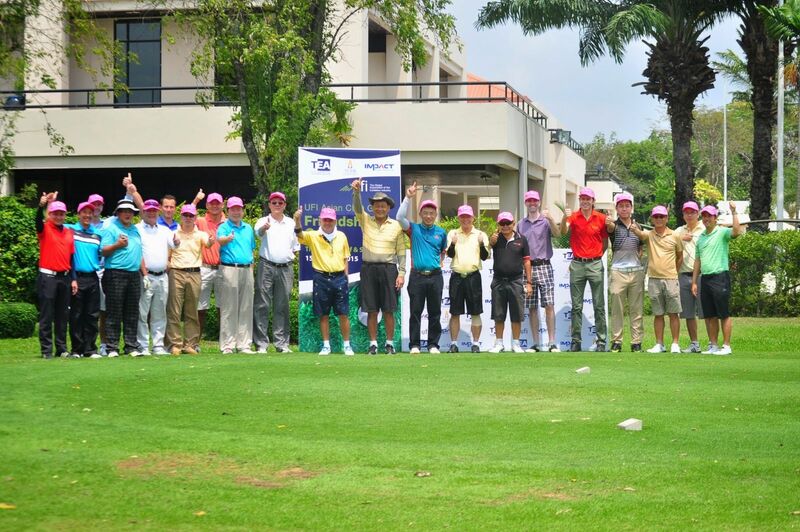 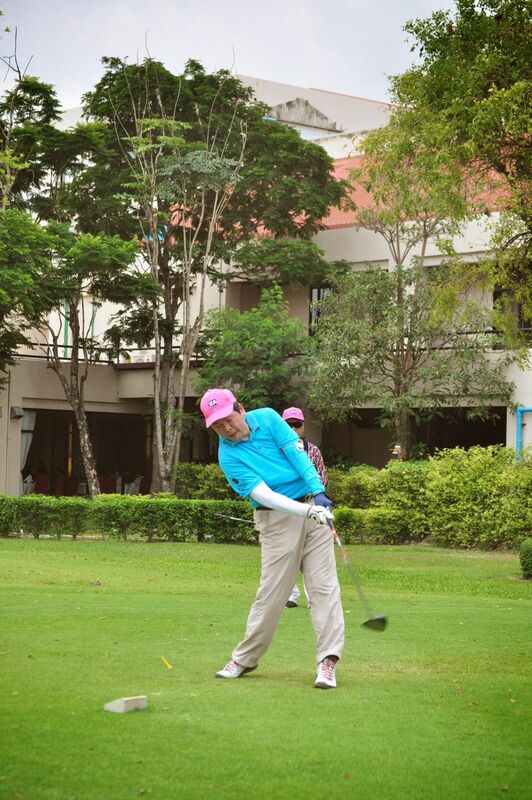 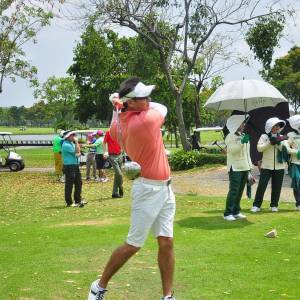 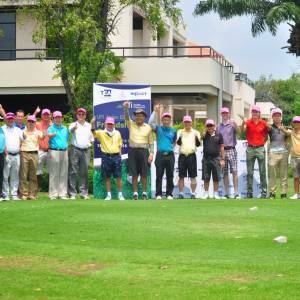 The main event took place on Sunday 15th March at Thana City Golf & Sports Club with 8 fourballs starting on the 1st & 10th tees simultaneously. 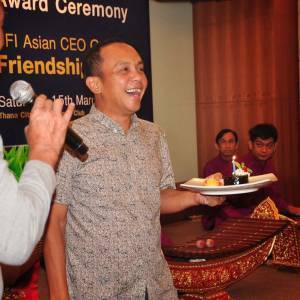 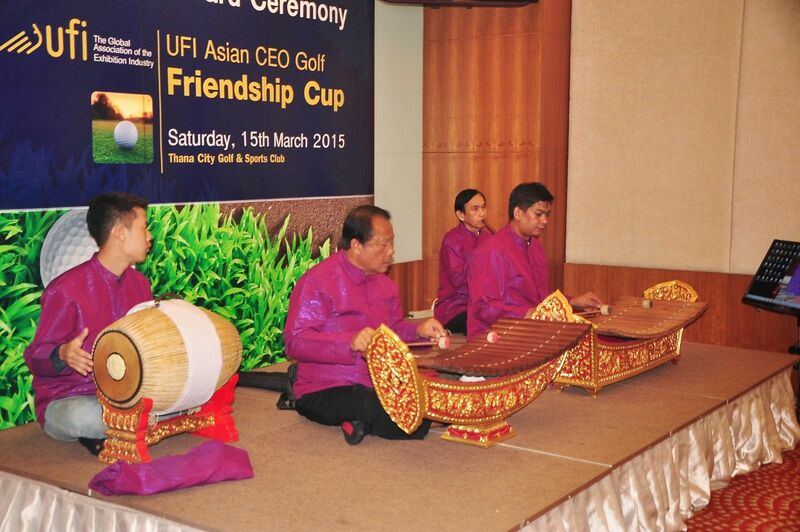 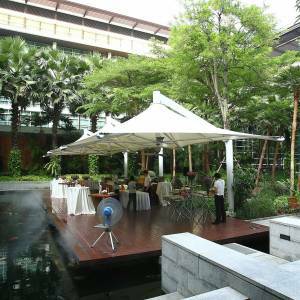 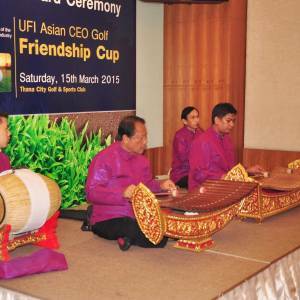 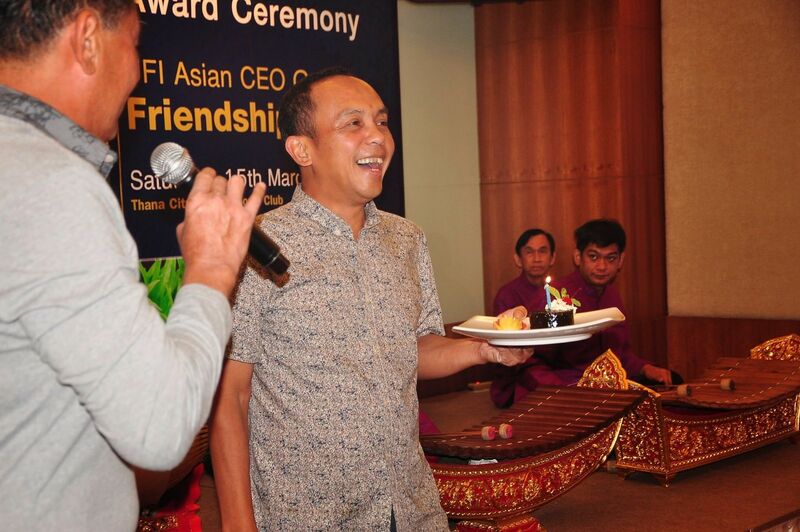 Afterwards the golfers enjoyed traditional Thai music and dancers before the prize-giving and awards ceremony in the club house. 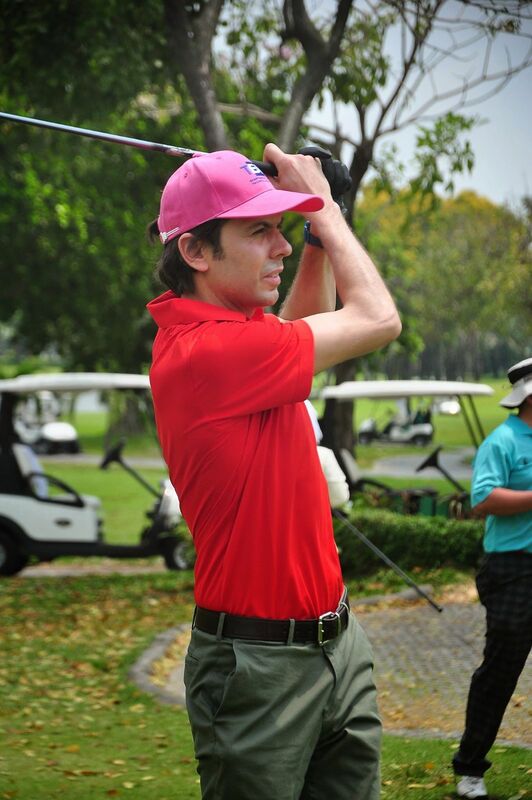 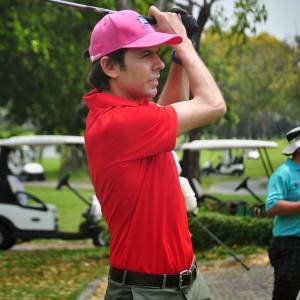 On Monday many golfers enjoyed a more leisurely game of golf at the Lakewood Country Club before heading home. 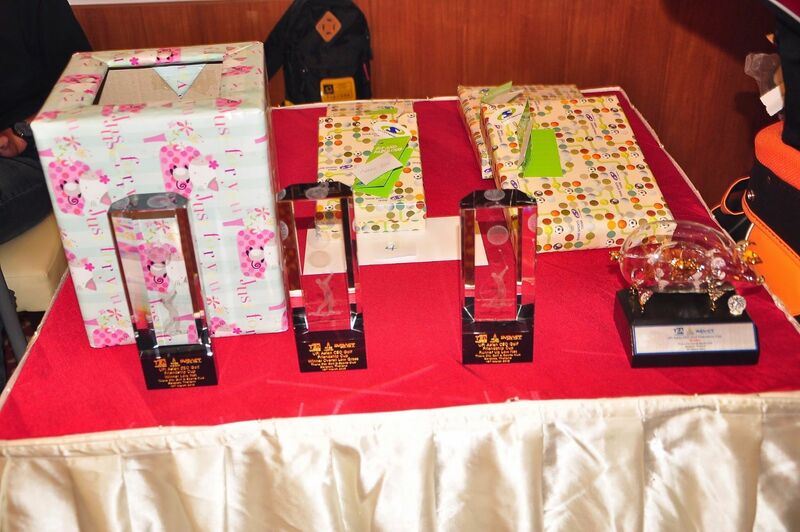 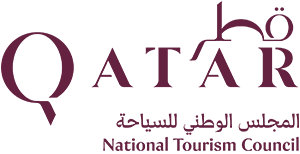 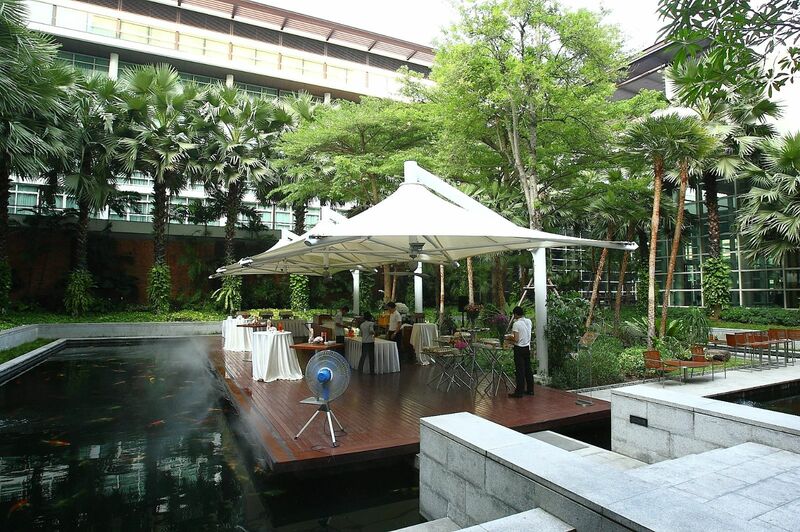 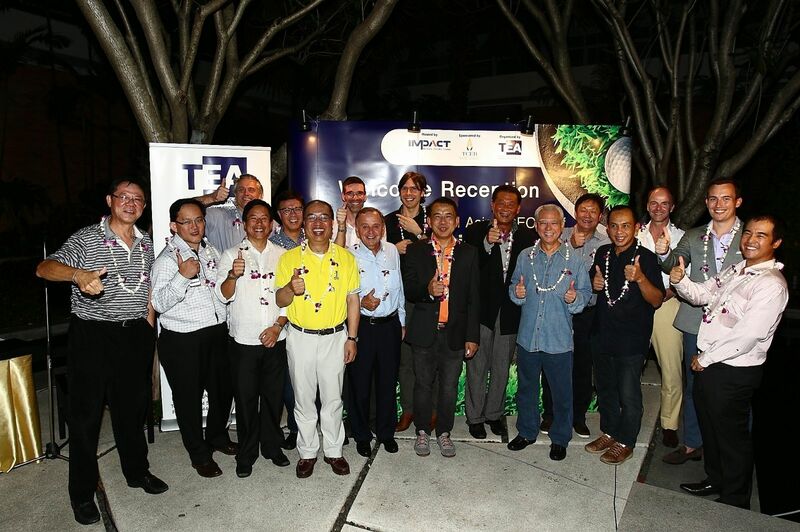 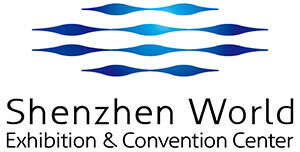 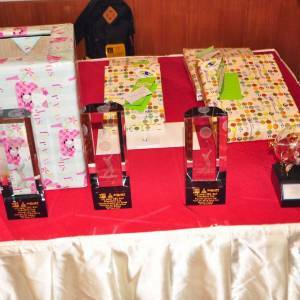 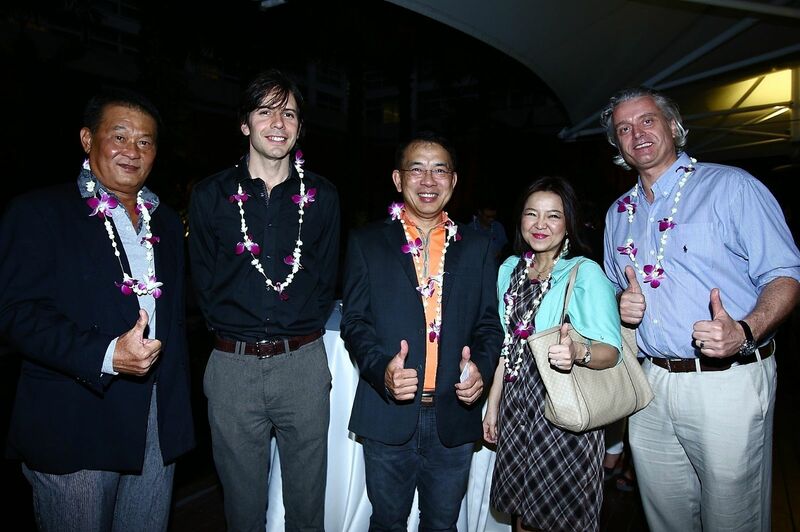 We are very grateful to our partners who helped make this event such a success; TCEB, the TEA and IMPACT.